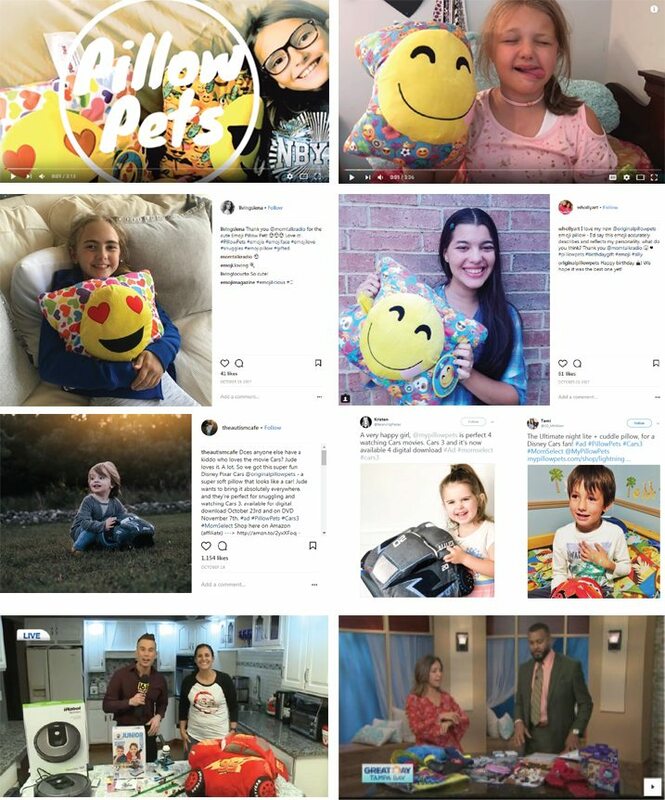 BSM Media’s scope of work with Pillow Pets required BSM Media to deliver 400 social shares, 25 YouTube videos, 5 TV segments and 3.6 million impressions. At the conclusion of the program, BSM exceeded the campaign benchmarks by delivering over 3,400 social shares, 25 YouTube videos, 6 TV segments, and 20 million campaign impressions. Additionally, the content shared as part of this program received engagement rates higher than industry benchmarks. Based on the measurements and the positive feedback from our influencer network, this campaign was a success!